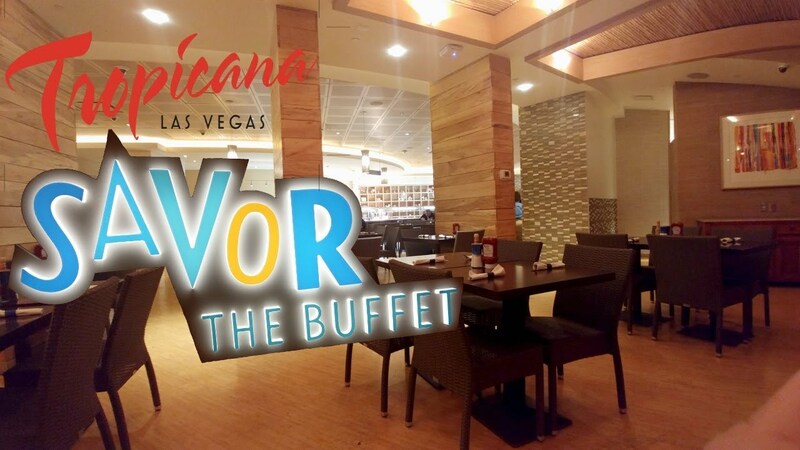 "We are thrilled to add Savor, the Buffet to our dining line-up at Tropicana Las Vegas," said Aaron Rosenthal, VP and General Manager for Tropicana Las Vegas. "We have had many requests over the years for a buffet-style restaurant, so we decided to continue with the refresh of our restaurants by introducing Savor and allowing our guests to get their fill on all types of cuisine, seven days a week, at affordable prices." Savor, the Buffet will allow guests to feast on world-class fare featuring a mouthwatering spread of signature and eclectic buffet offerings. The restaurant will offer up to four live action stations featuring various cuisines such as American, Asian, Italian and Mexican, to name a few. 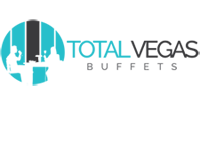 Highlights will include favorite dishes such as BLT benedict, Cajun chicken and grits, chicken scaloppini with prosciutto and white beans, green chile enchiladas and much more. "More than just your typical buffet, we are taking elements from our café to offer our guests a more of a distinctive dining experience such as our made-to-order and create-your-own stations," added Rosenthal. "This new restaurant will feature the freshest ingredients and the best dishes from around the world – allowing for a crave-worthy experience." Unique to the traditional buffet-style offerings, Savor will showcase fresh, made-to-order pizza and pasta stations. The one-of-a-kind pasta station will allow guests to order fresh pasta in every shape and color, followed by choice of sauce and toppings – for the ultimate pasta affair. From gluten free to spinach, sweet potato to quinoa, and more, pasta lovers will be treated to limitless pasta varieties. Adjacent to the pasta station, guests can also look forward to a redefined pizza line. Guests will be able to indulge in this buffet classic, but instead with a create-your-own pizza experience. Featuring thin, crispy, and homemade dough, Savor will serve up flatbread-style personal pizzas, made fresh with choice of toppings, in less than two minutes' flat. Savor will be open seven days a week from 7 a.m. to 10 p.m. with prices starting at $21.95 per person for breakfast, $26.95 per person for lunch and between $31.95-$34.95 per person for dinner. To-go options will also be available. Set on the famed Four Corners with commanding views of the Las Vegas Strip, Tropicana Las Vegas - a DoubleTree by Hilton is a Penn National Gaming destination and boasts stylish rooms, suites and luxury villas, complete with acclaimed restaurants, premier entertainment options and a 50,000-square-foot casino. The resort redefines the expectations of today's global travelers by providing a casually elegant experience on The Strip, all with a South Beach rhythm and vibe. The property also features Glow® a Mandara Spa and fitness center, Laugh Factory Comedy Club and restaurants such as Bacio Italian Cuisine, Oakville Steakhouse, Robert Irvine's Public House, and Savor the Buffet, plus on-the-go options such as Barista Café, Fresh Mix and South Beach Food Court. 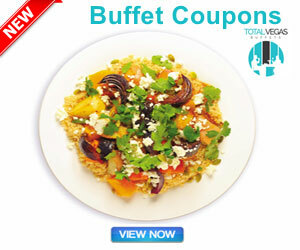 For more information, visit www.troplv.com.